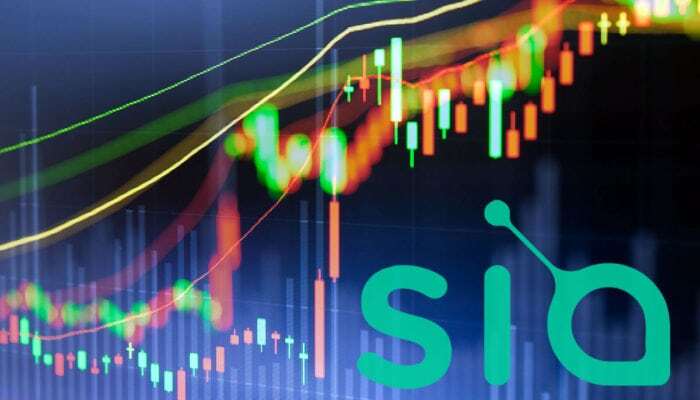 Markets holding steady on Monday; Siacoin, Stellar, ReddCoin and 0x performing well. Cryptocurrencies are green this Monday morning on the Asian markets. The weekend recovery has held firm and the majority of cryptos are still rising. Market capitalization has remained above $225 billion and is still heading upwards at the time of writing. Bitcoin has not moved much at all over the past couple of days and is hovering around the $6,700 mark. The short term outlook for BTC is bullish however its market dominance has fallen back to 51.2%. Ethereum is still recovering and has made a further 2.5% on the day to trade at $245. ETH is still at its lowest level for a year though so further gains are likely. Altcoins are recovering well, largely at the expense of Bitcoin for a change. According to Coinmarketcap the top ten is all in the green aside from XRP which has pulled back a little from its huge pump over the past few days. The top performer in this section at the moment is Stellar which has made 8% on the day to $0.279. Cardano has also made a little back with 5.5% on the day but ADA is still very low. The rest are pretty static at the moment with marginal gains from yesterday. The top twenty paints a similar picture with Nem and Dogecoin both making 5% on the day, Neo up 3.5% and the rest just about even. Tezos is the only altcoin in the red dropping back one percent. Today’s top performer in the top one hundred is Siacoin jumping 21% in 24 hours. Over the past month SC has made a solid 30%. Other altcoins performing well at the moment include ReddCoin, 0x and Bytecoin all trading over 8% higher right now along with Stellar. At the red end of the top one hundred is Emercoin and Aurora falling back 6-7 percent on the day. Total crypto market capitalization has climbed almost a percent on the day and is now just over $226 billion. Since last Monday markets have regained over 10% and over $20 billion. They are also up 7.5% since this time last month and there is hope that the bottom is in and a recovery can now begin. Bitcoin’s market dominance has slid back largely as a result of XRP’s surge on Friday which saw it surpass Ethereum’s market share, ETH has since regained second spot.